Employment-immigration visas can provide foreign workers and investors a unique opportunity to further their careers and lives in the United States. At the Law Offices of Ursula Trimming, Esq., we understand globalization and the need for U.S. employers and start-ups to hire and retain highly-skilled foreign workers. 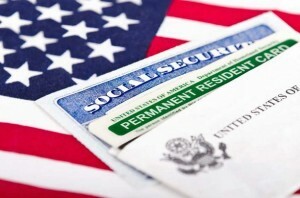 We work closely with U.S. employers to navigate the immigration system in order to hire the perfect worker for the job. If you are a foreign national who is looking to contribute your labor, skills, and talents to the United States workforce or planning to take a leadership position in an international business, you may qualify for an employment-based visa. However, the immigrant visa process is complex, with its countless considerations and criteria. It is highly recommended that you seek help from a legal professional who can guide you through the process in an efficient and cost-effective fashion. Our experienced attorneys know the ins and outs of immigration law and can provide you with reliable legal counsel every step of the way. When applying for a visa, even one mistake can cause significant delays, keeping you from reaching your aspirations. That is why you should let us use our skills and knowledge to minimize any potential problems for the purpose of achieving your goals. Labor Certification – Employers who cannot find suitable candidates for long-term positions within the United States may seek permanent labor certifications for foreign nationals who qualify. Extraordinary Ability Visas – Foreign nationals who exhibit exceptional talent in sciences, arts, education, business, or athletics may gain residence in the U.S. Self-sponsorship is available for this category. National Interest Waiver– This green card category is most commonly granted to those than can prove that they have exceptional ability, and that their employment in the United States will greatly benefit the U.S. economy. Multinational Manager and Executive Green Cards - Individuals who hold managerial or executive leadership positions in an international business may obtain green cards on the basis of their duties. Priority Workers (First Preference) - Foreign nationals with extraordinary ability, academics who are exemplars of their field, and some multinational executives and managers. Advanced or Exceptional Professionals (Second) - Individuals who hold advanced degrees or of exceptional ability. Professionals, Skilled, and Unskilled Workers (Third) - Foreign nationals with bachelor’s degrees, skilled workers who can perform labor that requires at least two years of training or experience, and unskilled workers. Special Immigrants (Fourth) - Religious workers and immigrants with certain other special duties or positions. Employment Creation (Fifth) - Foreign nationals who invest one million – or half a million in certain locations – in a job-creating U.S. enterprise. Our lawyers stay on top of the latest immigrations laws and trends, and can advise you on how to proceed with your visa application. Contact us for more information and to schedule a consultation.